After increasing their data limits on fixed broadband plans last week, Telstra is now turning their attention to their mobile plans, offering bonuses for customers on BYO and Casual plans – as well as offering a 6-month subscription to Foxtels streaming service Presto. The new data offerings come into effect on the 9th of April and cover new customers taking up a new handset and plan on their Mobile Accelerate Plans, their Easy Share Business Plan for small businesses and Mobile Accelerate BYO and Casual Plans. Customers will receive anywhere from 500MB to 7GB of data depending on which plan they want to sign on for, the bonus data will remain for the life of the contract. 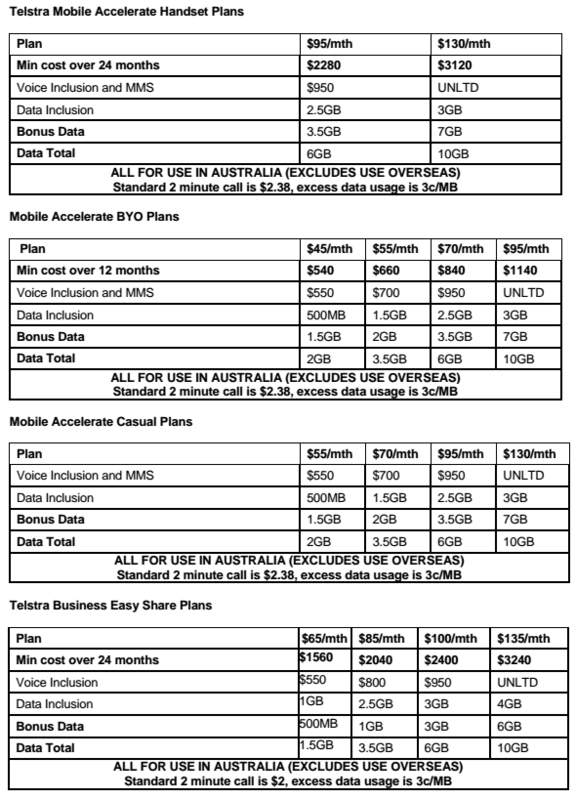 Plans for the new bundles are pretty decent with a $95 Mobile Accelerate Plan bundling an extra 3.5GB of data, while the $130 Mobile Accelerate Plan will get 7GB of data. Small business customers signing up to or re-contracting to the $65 Easy Share Business Plan with a new phone get 500MB of data, but if they go to the $135 plan they can get a bonus 6GB of data. With Bonus Data now in your new plan, you’ll have to find something to use it on of course and Telstra wants to help you there too. 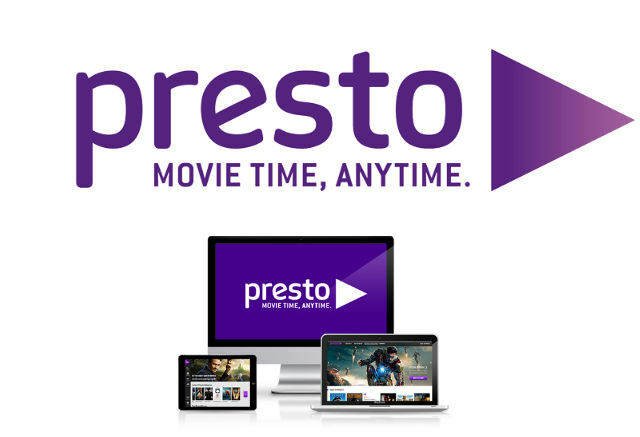 As well as the additional data on plans, Telstra is offering a 6-month subscription to Foxtels on-demand video streaming service, Presto. Streaming video is obviously big at the moment, other mobile providers have each partnered with a streaming service, Optus has partnered with Netflix, Vodafone with the Fairfax owned Stan, while Telstra is leveraging their association with Foxtel – Telstra owns a 50% stake in the PayTV provider – to offer Presto. This offer of 6-months of service with Presto is valid for all Mobile Accelerate Plan and Business Easy Share Plan activated from the 9th of April. Telstra Executive Director Mobiles, John Chambers, said ‘Telstra wanted to give customers more value, more entertainment and more freedom to enjoy the mobile web on Australia’s best mobile network’. We love data and there’s an upward trend in data use by Australians means that Carriers are starting to meet demand. The one hole in the Australian landscape is an unlimited data plan – but we’re getting there. How much would you pay per month for unlimited data and what would you give up for it? @yourtechlife @Telstra @trevorlong I’m less than a year into my current contract, so recontracting would be expensive. If the telcos want to do the RightThing by mobile data users, then they need to bring mobile data prices down, and move GB/month up, to the same as home broadband, and not force customers to tie everything to the telco simply to get those prices. I have no concept of how much an unlimited plan would cost in Australia. with a $95 plan only having 5gb of data with telstra I would imagine the monthly would be extreme. Damn. Recontracted on the $95 plan on Wednesday. Oh well. I don’t use that much data anyway. With the data increases for fixed-line broadband last week, they automatically gave these to existing customers too so you might get lucky. Yeah I got the extra 500GB. Will wait and see if they up my mobile data too. If you recontact shortly before an offer begins, sometimes they will honor the offer for you. Its worth giving them a call and asking. Yeah good idea. maybe I will call. Any news for existing customers? Yep, they have out money, so we can get stuffed, the bonus is always to attract or keep those at the end of their contract. Typical, I’m paying $105 a month, and still getting dumped on. First with the bonus 1 GB data and free anytime upgrade, and now with this. I at least got he bonus Gig. I wish they would drop either drop the price for their second sim or increase the data allowance. $15 for 250mb is a joke, I can get a 3rd part month by month sim for teh same cost (or less) with more data. I’d prefer $10 per month plus a gig, but might be tempted at at $15 if they gave an extra gig across your accounts. Sweet, Telstra just confirmed that they are rolling it out to existing customers also! Guess it depends if you’re still on contract. I’m interested because I’ve been out of contract for several years and have been changing data packs occasionally to try and get the best value. This is the first time an offer has come up that would actually get me more data for less $/month. Currently $69/m with 3GB. Recontracting on the $55 BYO would get me an extra 0.5GB and save $14/m – would be a higher call/sms cap too, not that I ever go near that. Well, assuming it’s available to me as an existing customer out of contract. Telstra just confirmed that they are rolling it out to existing customers also! Tested: Aussie Broadband NBN 150 Mbit down 100 Mbit up FTTP Speed · 59 mins ago.